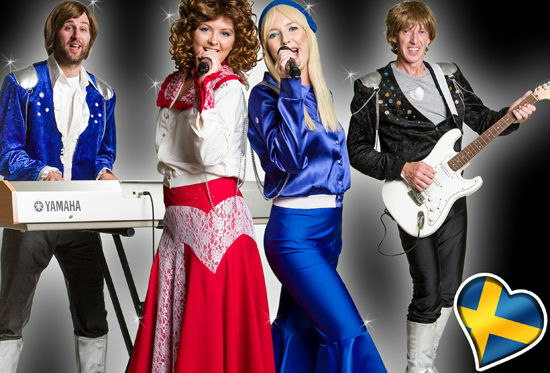 One of the UK's leading and most authentic ABBA tribute shows comes to Ilkley. Formed in 2004 with such attention to detail both vocally and visually, Swede Dreamz ABBA tribute band took local venues by storm. Following numerous local sell-out gigs and shows, the ABBA tribute show now plays to packed audiences across the UK and beyond. With the music of ABBA now firmly back in the spotlight following the release of the ABBA Gold Greatest Hits album, the global phenomenon that is the musical Mamma Mia! and the movies Mamma Mia! The Movie and Mamma Mia! Here We Go Again, there really hasn’t been a better time for you to experience a Swede Dreamz ABBA tribute show. You’re sure to be ‘having the time of your life’.